Between bird blitzes and Mother’s Day brunches, most of us lived very full lives this weekend. Good thing Monday finally got here! The weather in my area really dampened the flow of migrants on Saturday, but at least I was able to get my daughter on her first Bay-breasted Warbler. Corey had the easiest time ever deciding what bird would be his Best Bird of the Weekend. 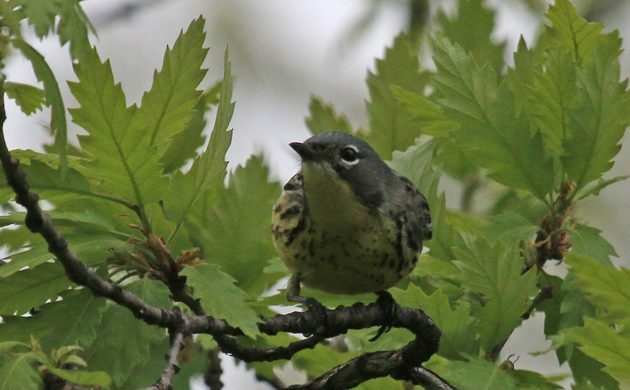 His last remaining eastern wood-warbler, the ultra-rare Kirtland’s Warbler, showed up in Manhattan’s Central Park on Friday afternoon. Fortunately, it stuck around long enough for Corey to go see it on Saturday morning. A lifer wood-warbler is always a great bird, when it is in New York, is a bird that came back from the brink, and completes a set of wood-warblers it is even better! Forget about Best Bird of the Weekend, this will likely be Corey’s Best Bird of the Year! I have to go with the Black-necked Stork ( Formally know as Jabiru), sitting on its nest at Yellow River, Kakadu, Australia. Kirtland’s Warbler, Central Park. My Mother’s Day gift turned out to be the fortunate fact that my sister had volunteered to accompany my mother to a family event in Massachusetts over the weekend. Can you imagine being in another state when that bird showed up?